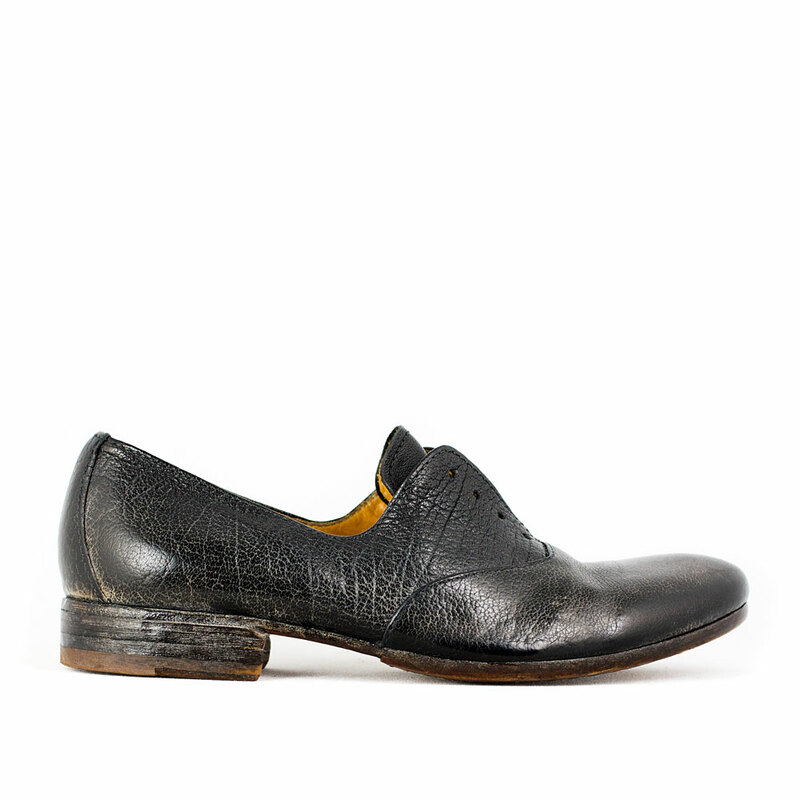 A darling unlaced oxford with vintage appeal, the 34303 from Moma is a great addition to any closet. 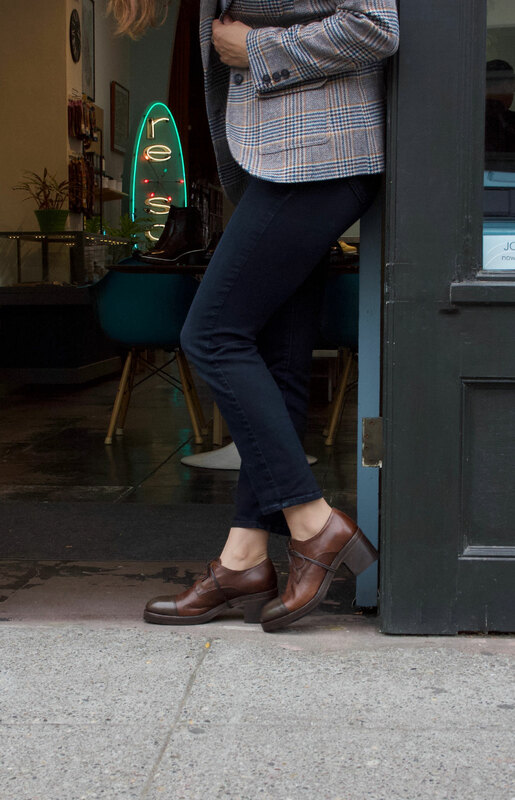 Made from pebble grained leather uppers with a solid stacked leather heel and sole, this little oxford adds a dash of fun to any outfit combination. Can be worn with or without laces.